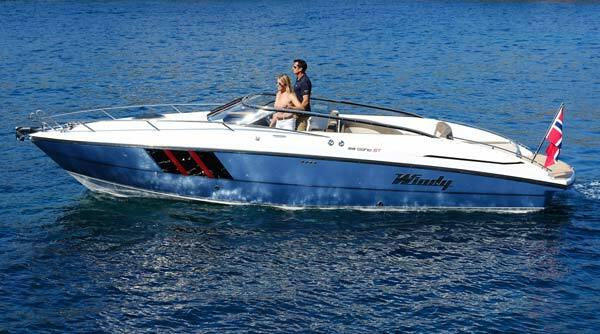 When Windy Boats was first founded in 1966, they established new standards for the quality and performance of motor boats. Now, 50 years later, Windy’s enthusiasm remains to be the best producer of power boats in the world. Every Windy boat bears the characteristics of non-compromising heritage spanning 50 years of top level know-how, along with centuries old knowledge of Nordic sea-faring. To put it simple: Windy builds better boats, as it is in their DNA. MP Yachts Oy is the main importer and dealer of Finland and Estonia. We provide every boat with ”turn-key” principle and carefully tested. We’ll be glad to help You getting started and we can provide You with tailored docking and maintenance services. Windy builds boats of classical beauty and that are pleasurable to drive. The advanced technology combines top quality performance with reasonable fuel consumption and offshore cruisers for the enjoyment of whole family. Windy Scandinavia AB is a private owned holding company, which also works f.e. in publishing, media, hotels and property management. Windy boats are build in modern assembly plants in Västervik of Eastern Swedish coast, and Ostroda in Poland. Over 100 professionals build the Windy boats and Windy super yacht tenders by hand, tailor-made according to the values of Windy.